Meredith McCarthy began her career at Sasaki shortly after graduating with a Masters of Architecture in 2010. An architect with a background in art history and structural engineering, she has worked on several large, high profile projects including the architectural design of three residential parcels for an international development and master space planning for a regional financial institute. Meredith is actively engaged on the Dudley Square Municipal Center, contributing to this building project from conceptual design through construction. 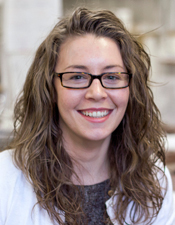 An Associate Member of the American Institute of Architects, Meredith is a frequent design critic at the Boston Architectural College and Roger Williams University.